USE PROPS. Prolonged standing can damage the facet joints. If you must stand for long stretches, prop one foot up on a small stool, phone book, railing, curb, stoop, or other platforms. If you’re doing dishes, for instance, open the cabinet below the sink and prop your foot on the ledge. Every few minutes, alternate feet to ease the pressure on your spine. Be sure to stretch every 30 minutes while standing. Bend over and touch your toes with your knees slightly bent. It will help loosen up your back muscles, joints, and ligaments. STAKE OUT A GOOD SEAT. To minimize back strain when you’re seated, pick a chair that has armrests; they’ll help decrease the load on your back and shoulders. The height of the chair should let your feet rest comfortably on the floor, allowing for better lumbar support. Position the chair so that you’ll be directly facing the activity you’re watching or participating in. That way, you’ll be less likely to twist and turn awkwardly. Sit so that your buttocks are aimed at the point where the seat and the backrest meet. If you’re sitting in a straight-back chair, wedge a rolled-up towel or a back-support pillow between the small of your back and the chair. It will help you maintain the natural arch of your back as you sit. Keep your knees slightly higher than your hips. It will help keep your back aligned and straight. If you’re working on something, sit as close to the activity as possible so that you don’t have to lean or reach for things. Leaning and reaching put additional weight and strain on your back. LIFT LIKE AN ELEVATOR. When lifting, imagine that your back is an elevator that can only go up or down. So when you want to pick up a trash, grocery bag, or other objects, bend at the knees and slowly lower your back down in a straight line. Then when you lift, push up with your legs – let them do the work – while your back gently rises straight up. Before lifting, spread your feet to shoulder width and squat down as close as possible to the object. Give it a test tug to make sure you can lift it easily. If it’s too heavy, get some help or ask someone else to lift the object for you. Bring the object up to about knee height, then continue lifting with your legs. 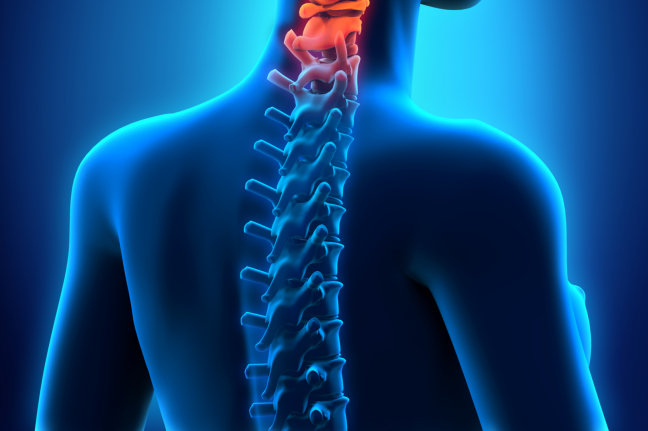 Remember, keep the object as close to your body as possible at times; it will lessen the strain on your back. Other techniques: If you’re retrieving a box or other object from a car, put one knee on the seat in front of you, pull the box towards you, and then lift. If you’re hauling luggage out of the trunk, put one foot on the bumper, and then reach in and pull the bag out. HUG, DON’T LUG. A visit with your grandchildren will be far less than grand if you strain your back while lifting them. To prevent that, squat down to their level and let them hug you, or sit in a chair and let them crawl up into your lap. If you must lift a child, be sure to use all the proper lifting techniques: Squat down, keep your back straight, and lift with your legs. Also, be sure to test the load – your grandchild may have put on a few pounds since you last picked him up. PUSH, DON’T PULL. Pushing is easier on your back than pulling. When you push, most of the weight is propelled by your leg muscles. But when you pull, your back does most of the work, and that can lead to strained muscles or even herniated disks. SHUN SHOULDER BAGS. Big purses with sling on shoulder straps put a tremendous amount of unnecessary pressure on your spine. Hand purses that you can tuck under your arm or a fanny pack are better ideas. If you insist on using a shoulder bag, keep your load to a minimum and switch the bag between shoulders frequently. SNUFF THE PUFFS. Smoking reduces blood flow to disks in your back and makes them more susceptible to injury. So if you smoke, quit. Brighton Cornerstone Healthcare’s wide array of health care services can keep your comfort and independence right at home. Do you need skilled experts to look after you at home? Give us a call at 270-821-1492 or schedule an assessment for our home health care in East North Street Madisonville KY.